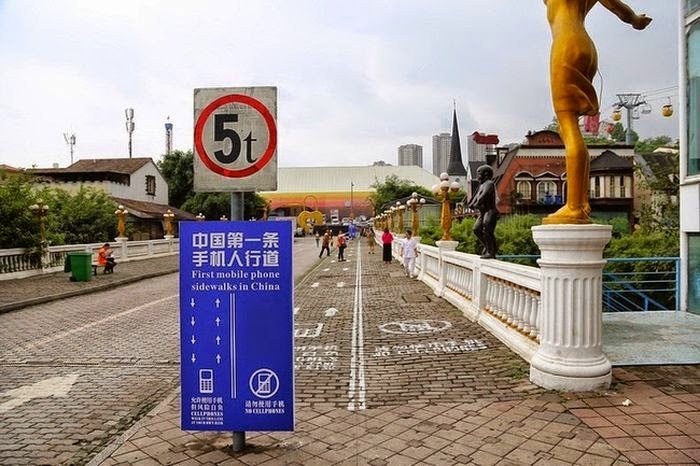 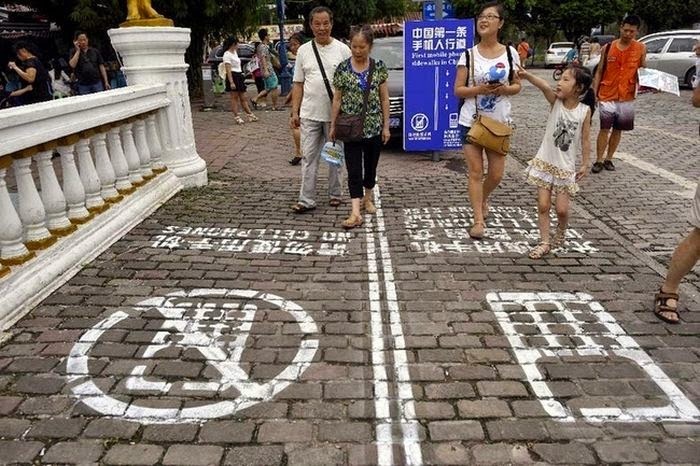 The city of Chongqing, China has made a special lane for people who can't be bothered to look up from their smart phone while they're walking. 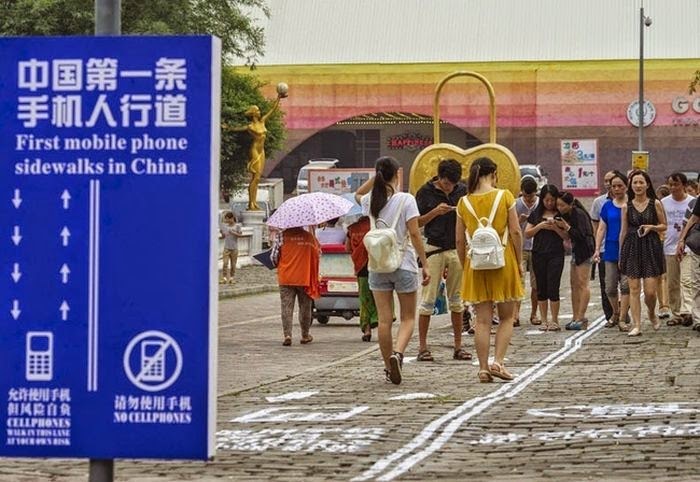 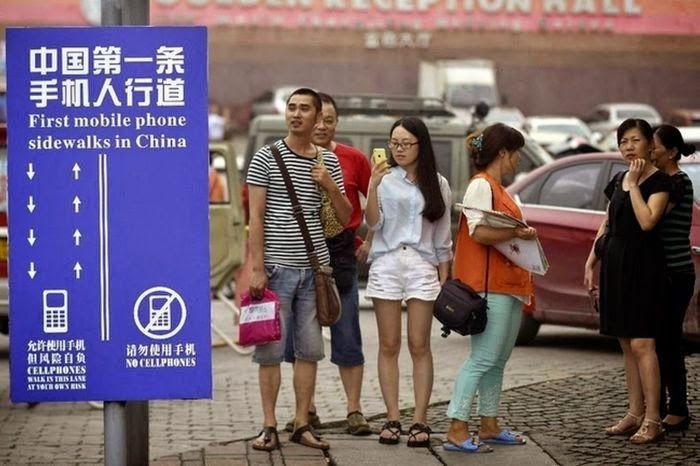 It's nice of China to do this for people that just want to walk but it just goes to show how out of control people are with their smart phones. 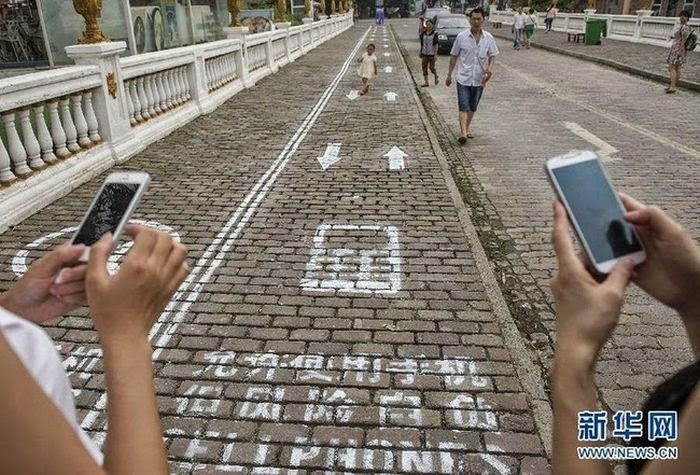 Put the phone down and enjoy the world around you.